I’m a girl with many travel goals: visit all 50 states, see all the continents, road-trip across the country, etc. Earlier this year I added a new one to the list: visit all of the US National Parks. I had been to some on family vacations as a kid, mostly out West, but none of those counted for this undertaking, which also included my boyfriend. The rules of this goal were clear: we would visit the parks as a couple, in no particular order, but starting from scratch. Upon researching the locales of the parks, it became clear that reaching all of them would pose some serious travel challenges. Gates of the Artic National Park, for example, was waaay up there in Alaska. And did you know that there is a National Park on American Samoa? I didn’t. I thought about scaling back the goal to visiting just the parks in the contiguous US, but that suggestion was rebuffed by my boyfriend. We were going all in. No cutting corners on this one. We started out easy. 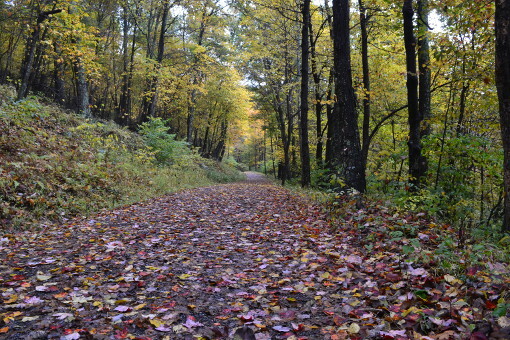 Living on the East Coast, park options are few and far between; the Western states have the lion’s share of them. 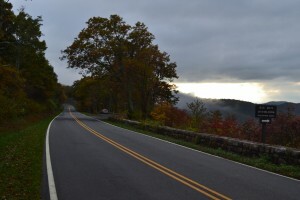 Our first stop, we decided, would be Shenandoah National Park in Virginia. Columbus Day weekend seemed like a great time to visit – long weekend off from work, plus we figured the time of year would afford some good leaf peeping. As it turned out, driving south from Boston to Virginia was like driving back in time a couple of weeks; the red and orange leaves of New England were quickly left behind and most of the trees of Maryland and Virginia still bore the green leaves of summer, with some just staring to turn. No matter – the scenery was still lovely. Our route took us West out of Boston on I-90, then South through New York City and New Jersey, all the way to Washington, where we spent our first night. 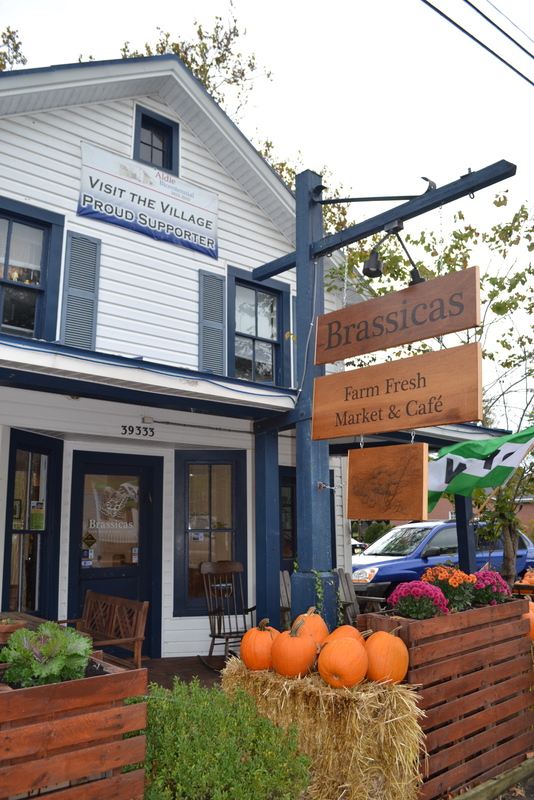 The next morning we followed highway 50 for a leisurely ride West through pretty scenery, with a lunch break in tiny but attractive Aldie, VA. Stop in to Brassicas, a farm fresh market and café, if you’re ever in the area. Our destination that night and base camp for exploring the park was Winchester, VA, about 30 minutes North of the Front Royal (North) Entrance. Winchester has a cute “Old Town” strip with some independent restaurants, but that aside I can’t offer any particularly compelling reason to choose it over any other spot in the area. 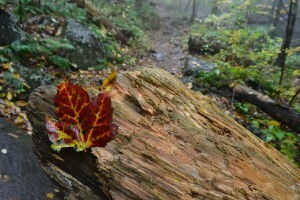 Shenandoah National Park is a long, skinny park with 105-mile-long Skyline Drive serving as its backbone. All along Skyline Drive are a series of overlooks and trailheads. 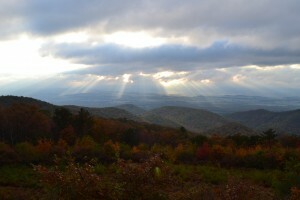 Much of the beauty of the park comes from the views of Shenandoah Valley, as seen from the road. Unfortunately for us we were visiting on a drizzly, overcast weekend, so some of the views were marred by clouds. On a clear day it would have been lovely. Over the course of our two days in the park, we embarked on several of the hikes accessible along the road, including Stony Man, Little Stony Man, Rose River Falls and Doyles River Falls. Old Rag, the alleged crown jewel of the park, is not accessible from Skyline Drive, and given the weather we decided to pass on pursuing it and instead continued South through the park for an eventual exit via the Rockfish Gap (South) Entrance. 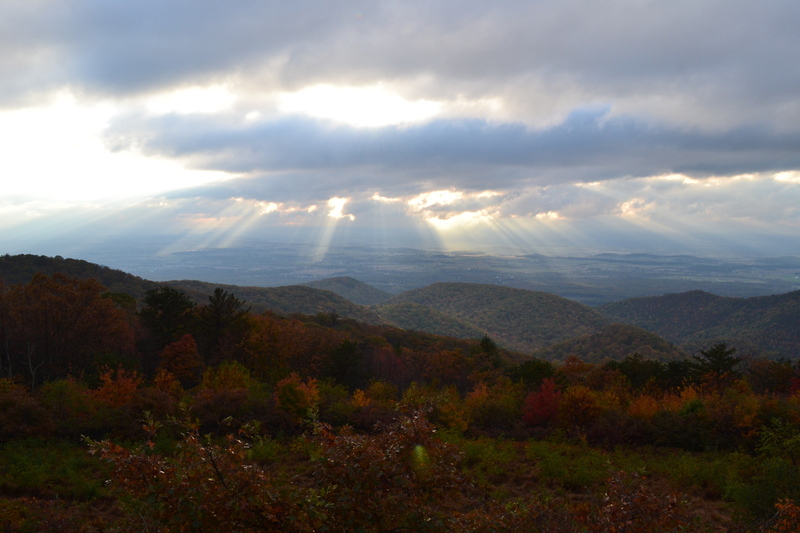 For anyone planning a trip to Shenandoah, my recommendation is to take a day or two to do a couple of hikes and enjoy the overlooks from Skyline Drive. The scenery is lovely, but it is not stunning in the way of many of the Western National Parks. 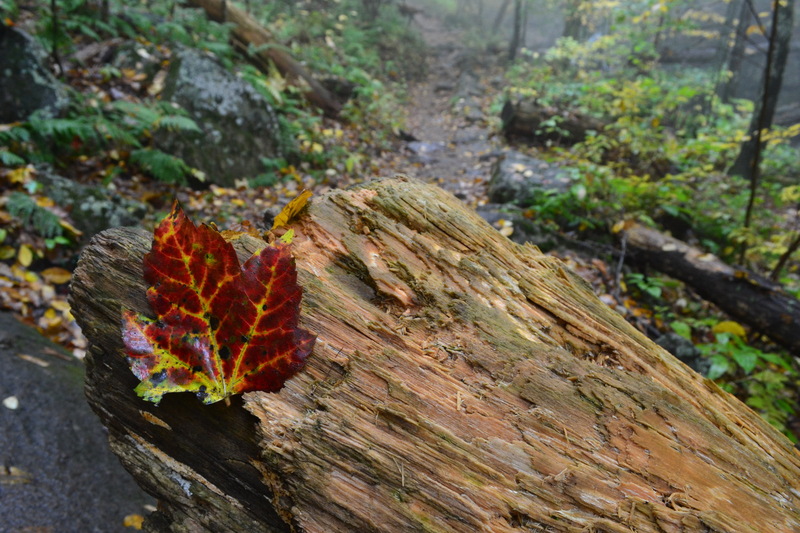 Shenandoah is certainly worth the time, but unless you’re a rabid hiker or rock climber, I suggest incorporating it as an element of a vacation, not as the centerpiece.